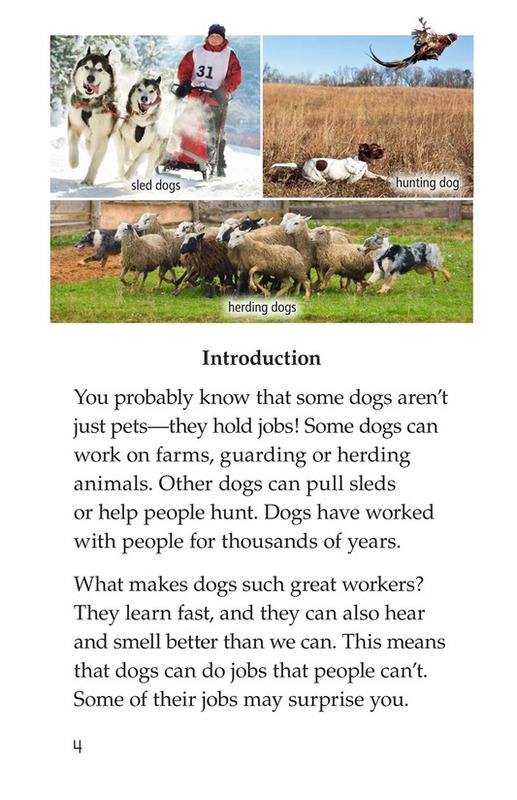 Did you know that some dogs aren't just pets? 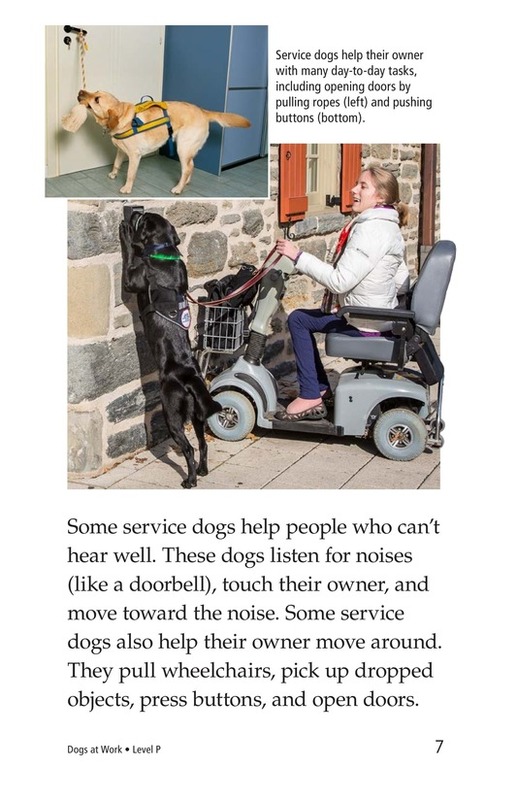 These intelligent and obedient animals can hold important jobs that help people. 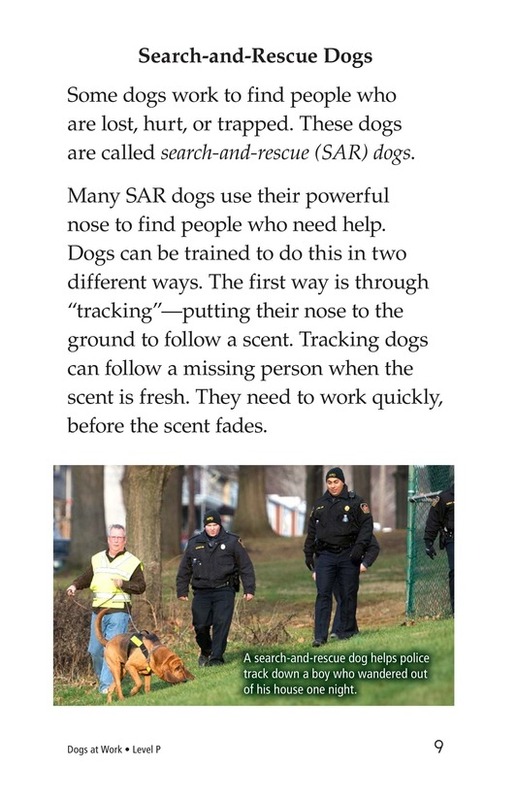 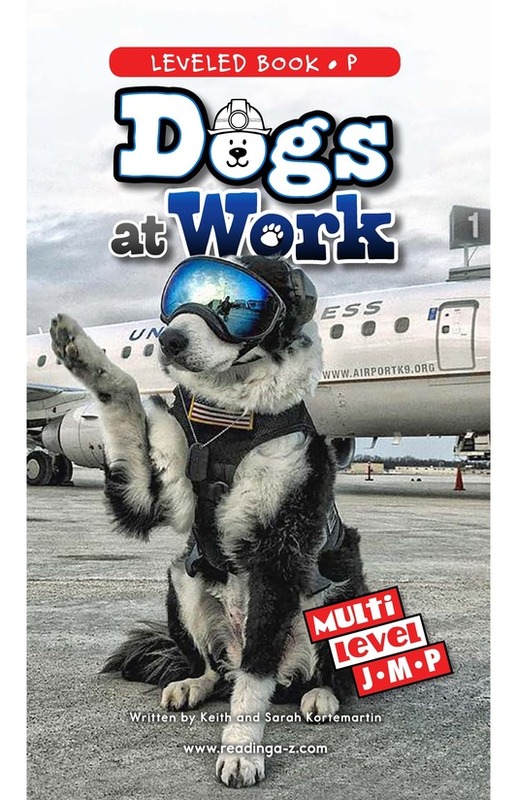 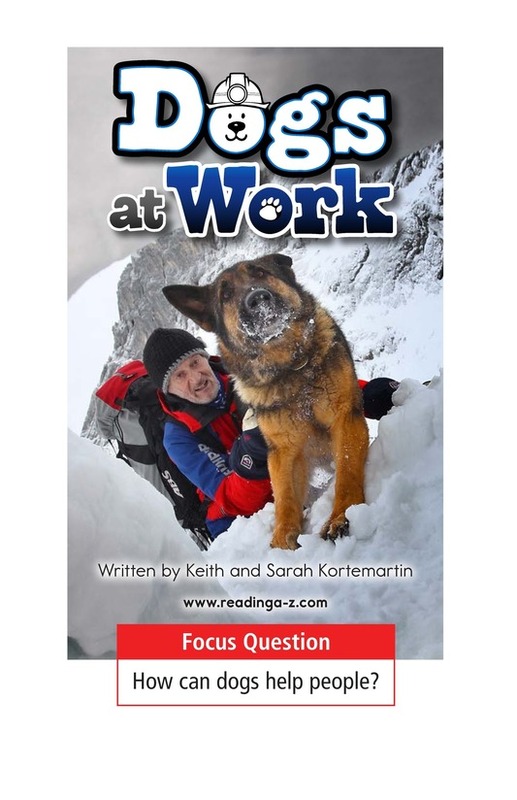 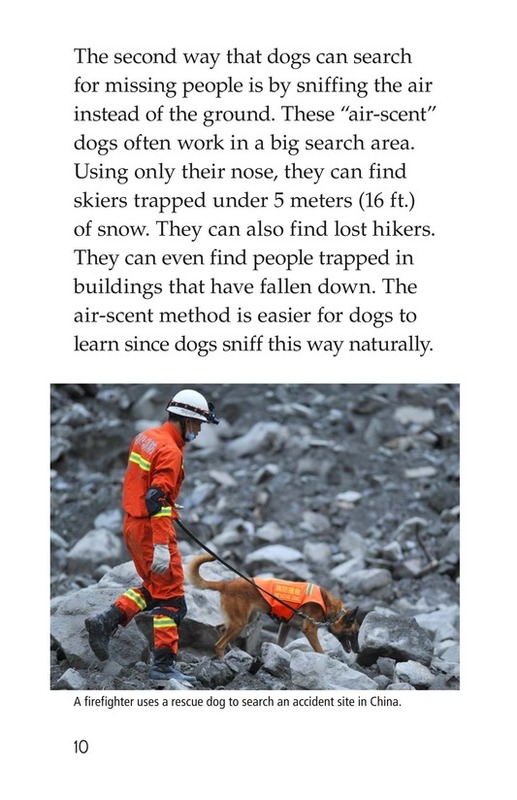 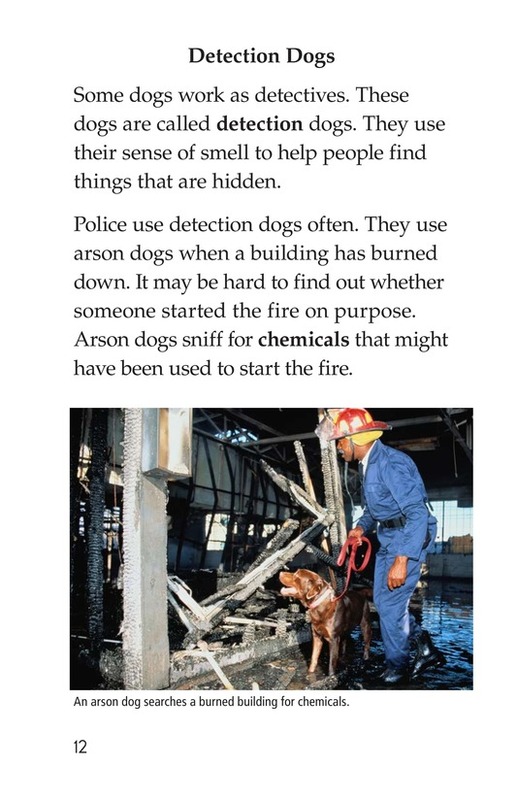 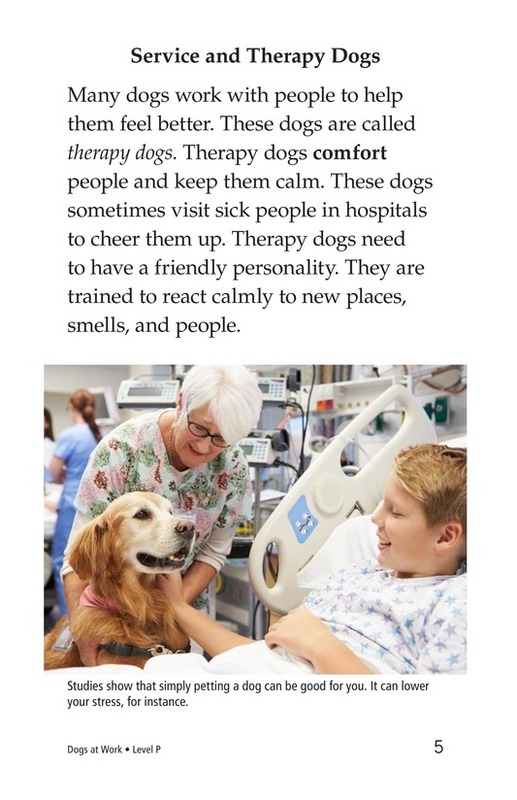 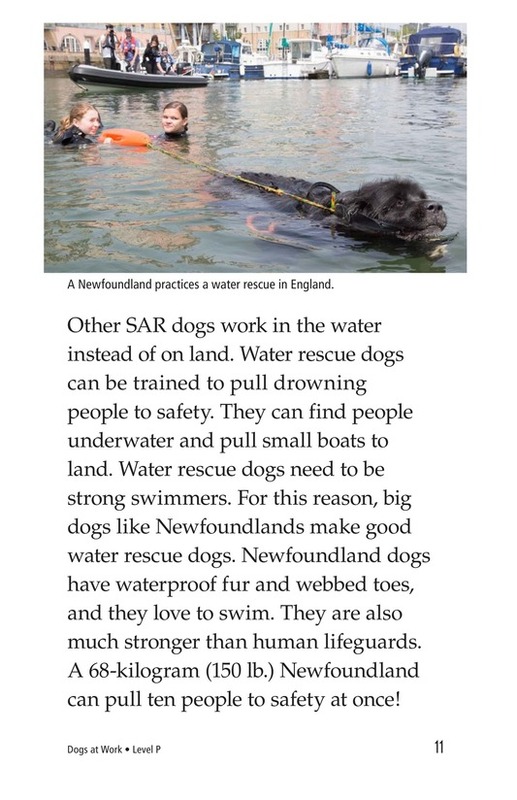 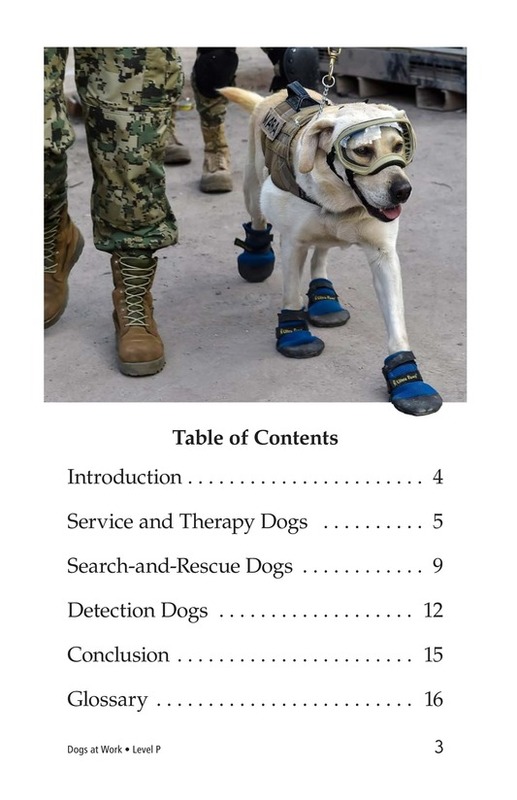 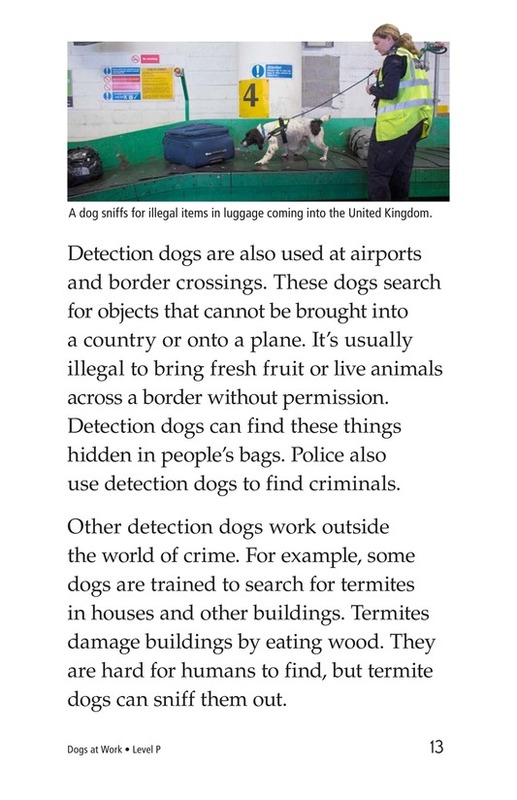 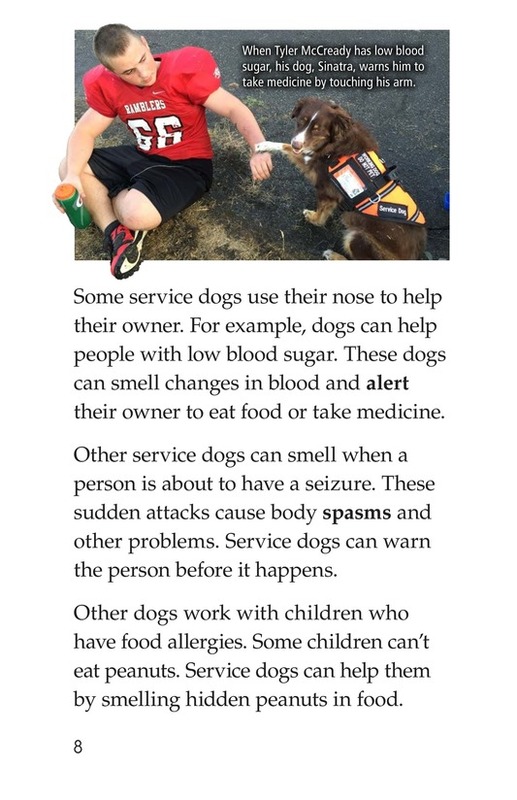 Dogs at Work provides students with a comprehensive look at the different types of working dogs including service dogs, search-and-rescue dogs, and detection dogs. 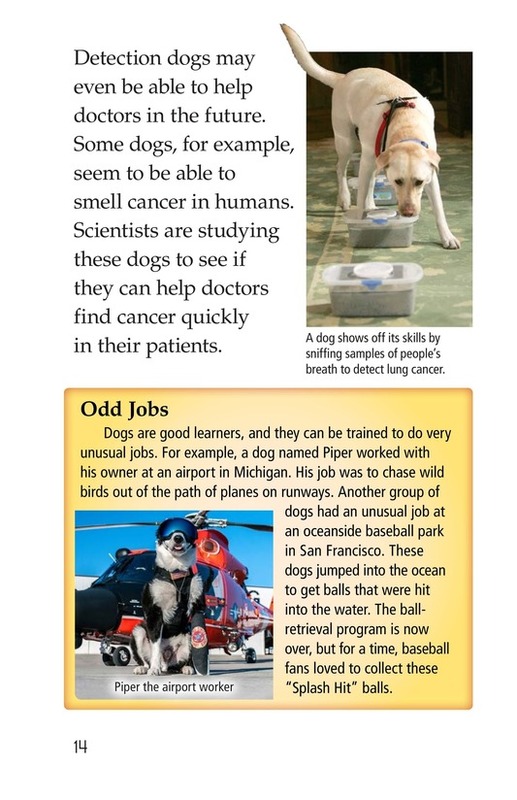 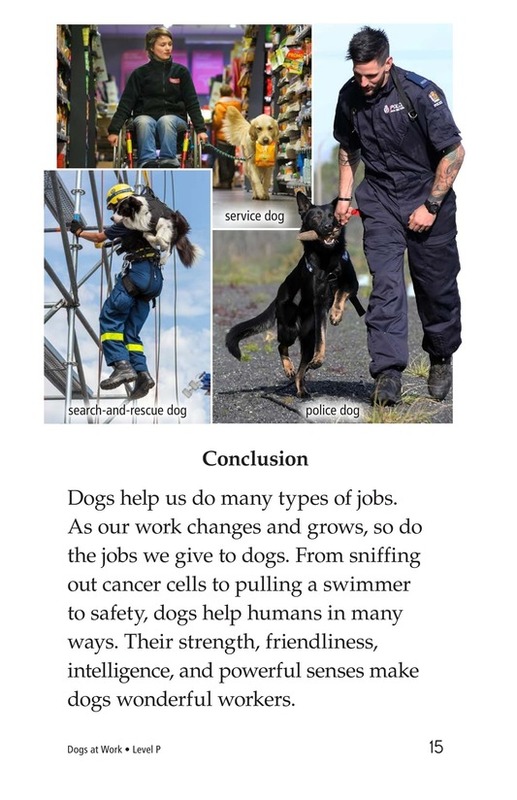 Detailed photographs and an engaging topic will help students compare and contrast different types of jobs dogs can do. 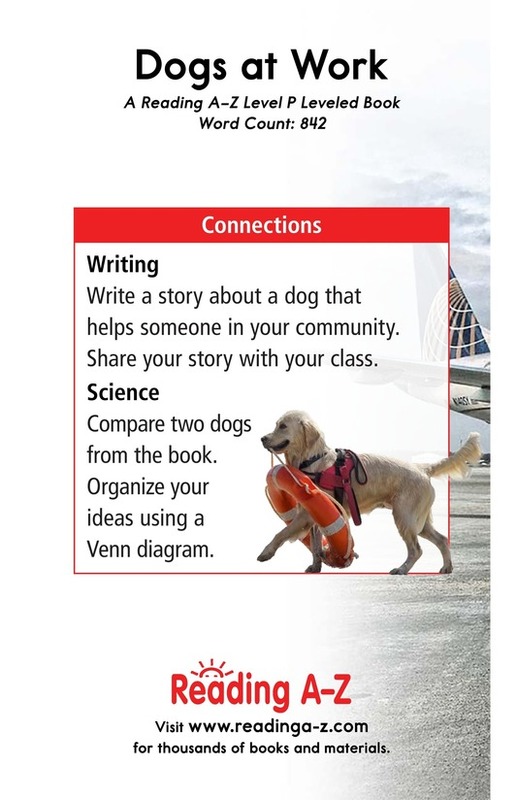 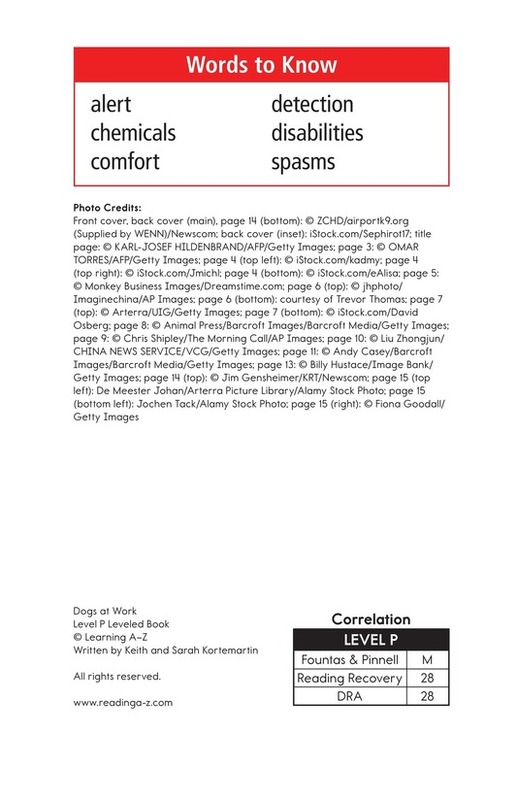 The book can also be used to teach students how to connect to prior knowledge to better understand the text. 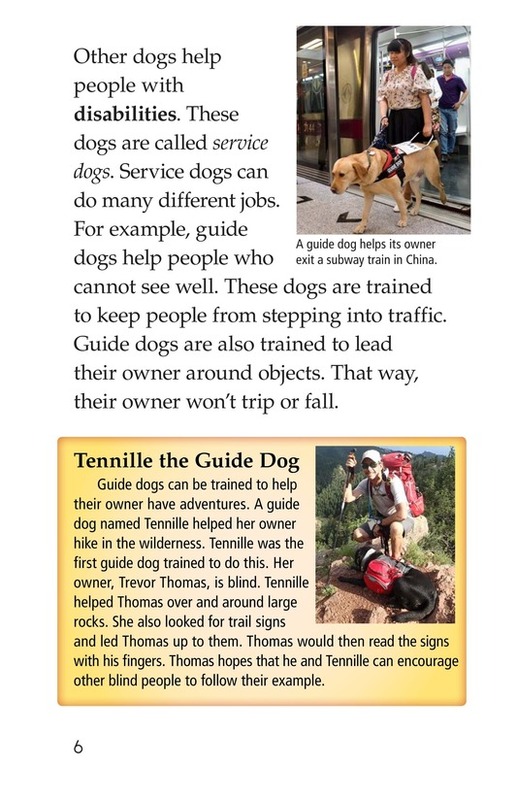 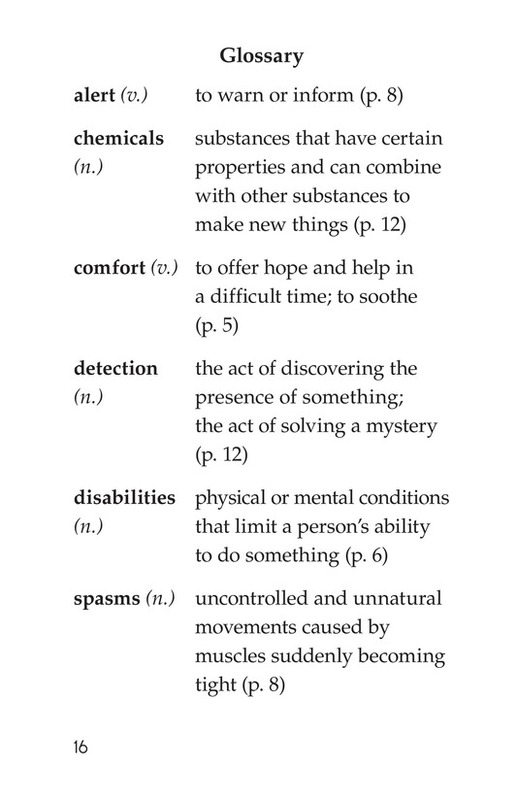 The book and lesson are also available for levels J and M.